Caroline’s last hours in the hospice were peaceful for her but they were painful for us. When the phone call finally came that she had died, despite the inevitability, the emotion was overwhelming. Caroline had battled breast cancer for seven years before dying at the age of 39. In the days that followed I thought a lot about her parents, and husband, but I thought also about the children in our families as well as the children at the school where she’d been a much-loved teacher. To help my young daughters through their grief I encouraged them to think about the legacies their Aunt had left in terms of what she had shared, taught and imparted and in what was probably an effort to exorcise the grief, I then wrote a story about a teacher who dies. 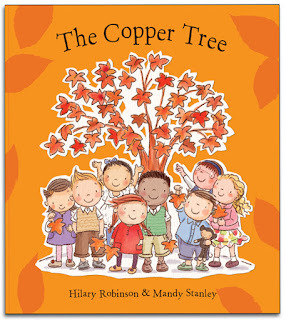 The Copper Tree developed into a story of a small group of young school children who are encouraged to prepare for, and come to terms with, the subsequent death of their teacher, Miss Evans. At the centre of it all I considered the simple needs of young children, many of whom would be exploring the feelings of grief and loss for the first time. I realised that a relationship with a teacher mirrored so many relationships in other areas of our lives – from parents, family, wider family, friends and even pets. I wanted the story to be real and accessible and revised core elements of the text after seeking advice from bereaved families, from teachers and bereavement consultants. One mother whose seventeen-year-old son had died from cancer told me that those with terminal illness, quite often – despite the pain and fear – remain cheerful. 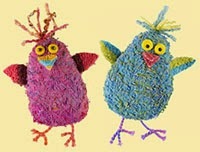 They see and appreciate the pure beauty of life and find joy in simple pleasures. Justine, a young mother of three children who was dying of breast cancer was critical of the lack of books that featured people as main characters, rather than animals, while teachers advised against using ambiguous language - saying to a young child we have "lost" someone can lead them to believe that we may find them again and when a friend was told, as a young girl, that her grandmother had died of a stroke, she became then fearful of stroking the cat. I also avoided whimsical notions of heave, leaving parents, teachers and carers free to consider those elements in their own respective and personal ways. Dr Paul Fitzpatrick, an expert in bereavement counselling from Cardiff University, explained that ‘continuing bonds theory’ is now considered by many to be an integral part of helping those who grieve. Recognising and celebrating the legacies of those who have died is considered far more effective than ignoring, as previous generations have done, the fact that someone had ever existed and this was borne out when our local hospice, St Gemmas, established a Tree Of Life on to which bereaved relatives could hang copper leaves inscribed with the name of a loved one who had died. 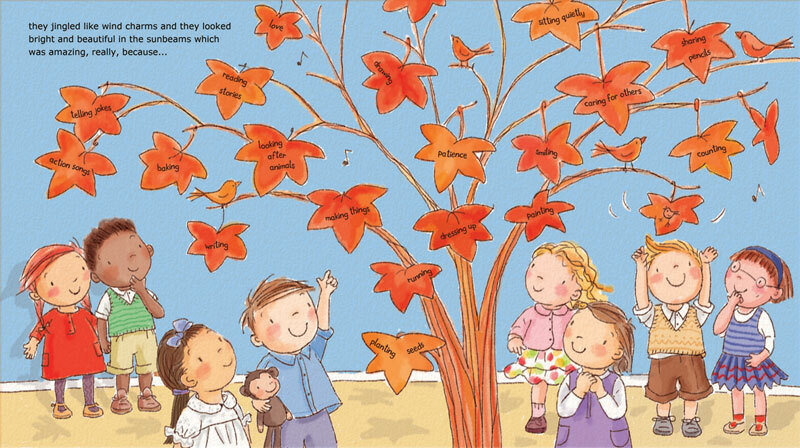 So with all this is mind The Copper Tree took shape and in the story the children are gently taken through the difficult process. There are light hearted moments and moments of poignancy – just as in life - and following a period of reflection after the death of Miss Evans, they are encouraged to think about all that their teacher has shared with them - or taught them. 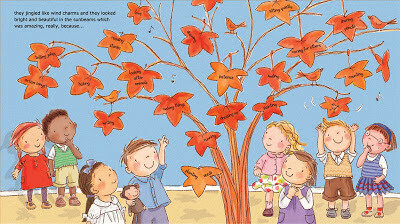 These memories are then inscribed on to copper leaves and fixed on to a copper tree as a reminder of her lasting legacy. We cherish our memories of Caroline and we are proud of the legacies she has left. 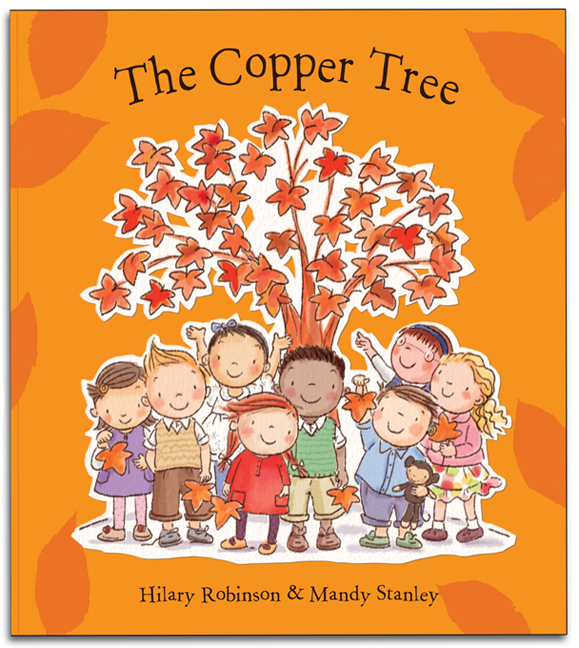 The Copper Tree, may not have happened had it not been for her and that, in itself, remains a lasting legacy to her. We recognise also that, while at times the emotional pain has been difficult to bear, we have, as Caroline did in the end, found some measure of peace. Want to know what really happens behind the pages of a book? 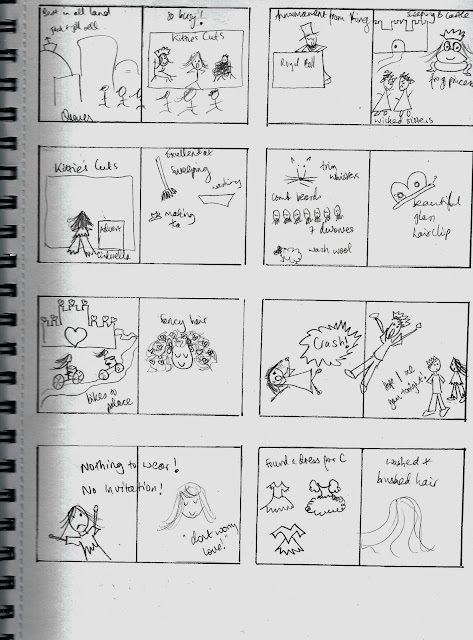 Here’s a sneaky look at how my latest picture book took shape. 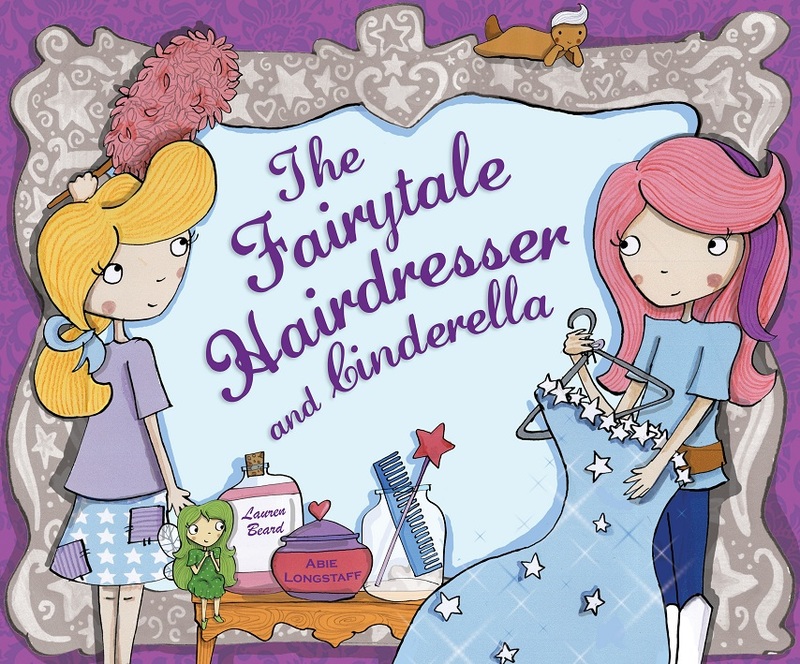 The idea for the Fairytale Hairdresser series came about through my sisters. I am one of six girls and we used to play all kinds of crazy games (often involving dressing up the poor long-suffering dog). 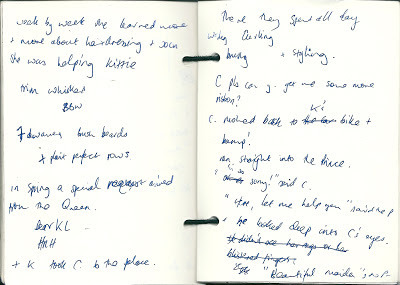 One of our favourite games was hairdressers and we had our own little salon going on in the family bathroom. I was reminiscing about the sinkfuls of bubbles with my sisters one day when a thought popped into my head: where do fairy tale characters go to get their hair done? I immediately thought of the Big Bad Wolf having his whiskers washed, and a series was born! Cinderella is the second in the series (the first focused on Rapunzel). Writing within a series is both easier and harder. 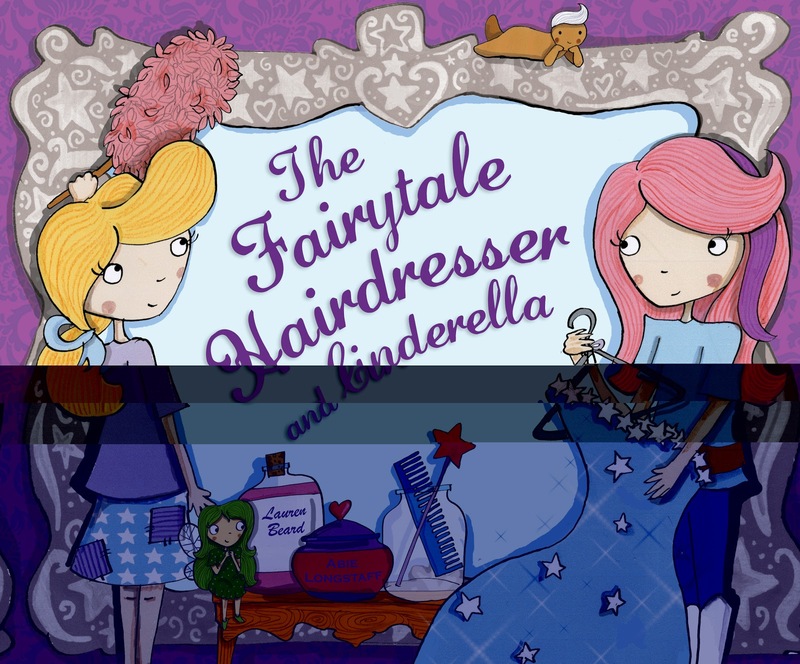 It’s easier because you already have the set-up and characters – my main character, Kittie Lacey is a modern business woman who runs a salon caring for all the hair, beards, fur and fleece in Fairyland. 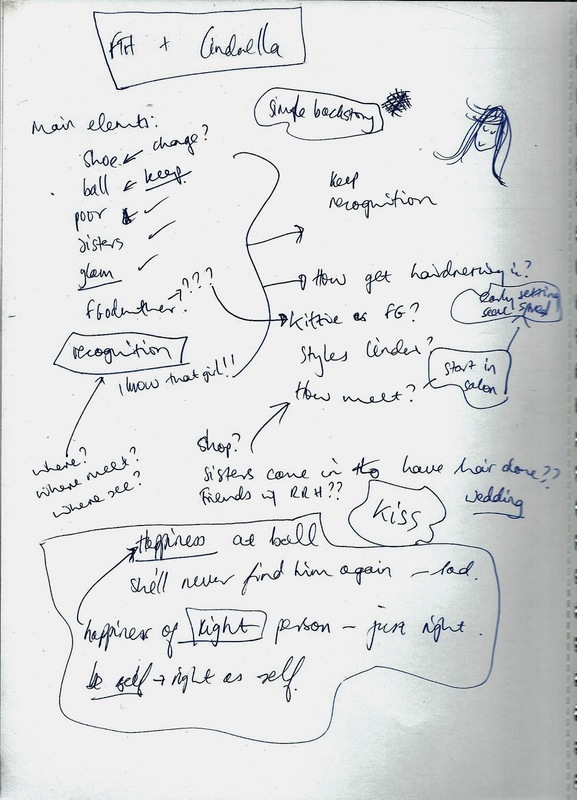 I had a feel of how Kittie came across, and the template of her helping a fairy tale character to work with. But in series writing you have to make sure you develop your story on, and that the book fits well within past as well as future books. You do also feel the pressure of making sure the second book is as popular as the first. The challenge for me was to tie the story in with hair. My main character had to get in somehow. So, after much playing, I decided to give Cinderella a day job at the salon, and to use the device of a glass hairclip instead of a shoe to help the Prince find her. Like a lot of authors, I only write part time. 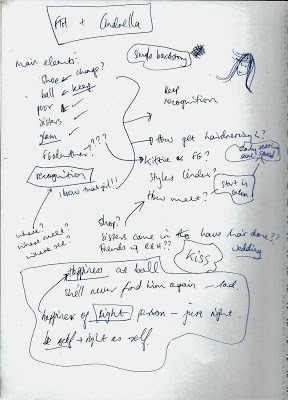 I have a day job and children, so drafts are often scribbled on the tube, at school pick-ups or in my lunch hour at work. 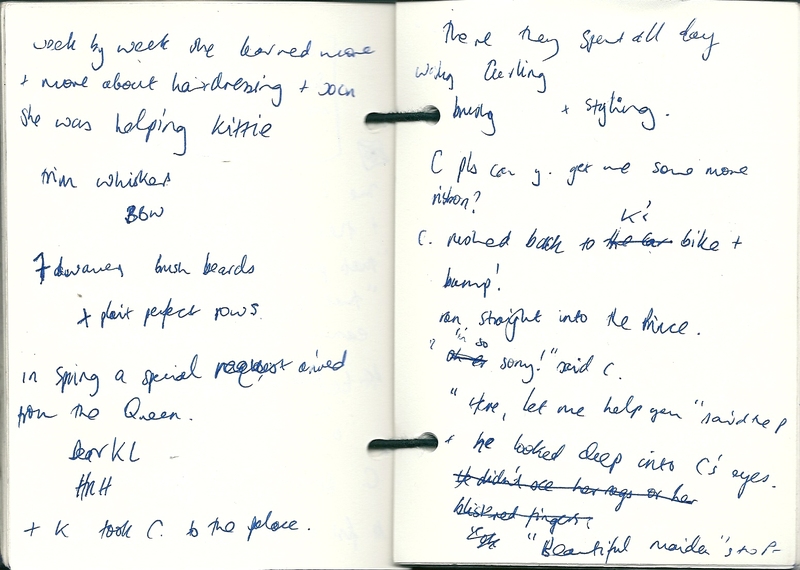 I carry a teeny notebook around with me all the time so I can write down the truly brilliant ideas (it’s a very teeny notebook). 'It was getting later and later. The moon was high in the sky. Upstairs Kittie and Cinderella were pinning up the Queen’s fallen curls. Now it was nearly midnight. A lot of people want to know the answer to this. The truth is – there are disagreements occasionally about what a story should include. It’s part of the process. But it's hard as a new writer to know whether to stand your ground. The publishers usually know what they are talking about much more than I do and so I mainly trust my editor (annoyingly he is most often right). But, if there is something I think is really important I will try and push my point. 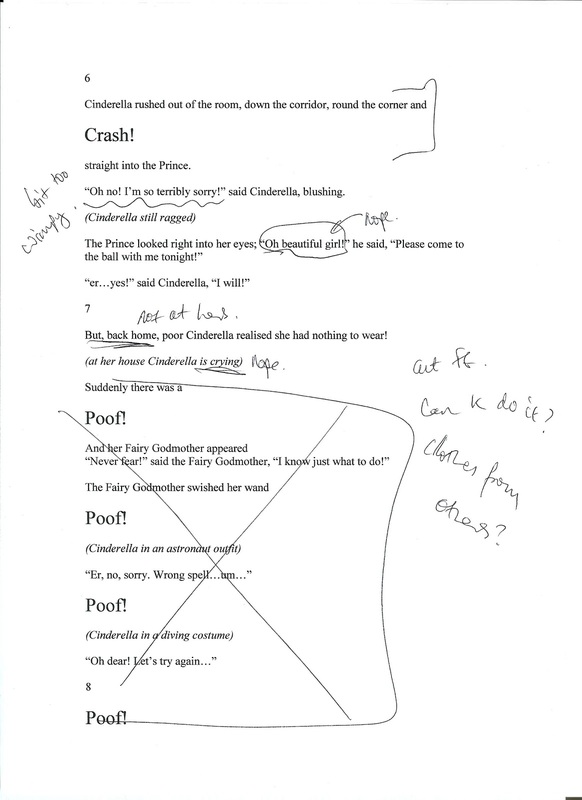 In Cinderella one particular issue arose. I wanted the Prince to have met Cinderella before the ball and for him to look for her at the ball. 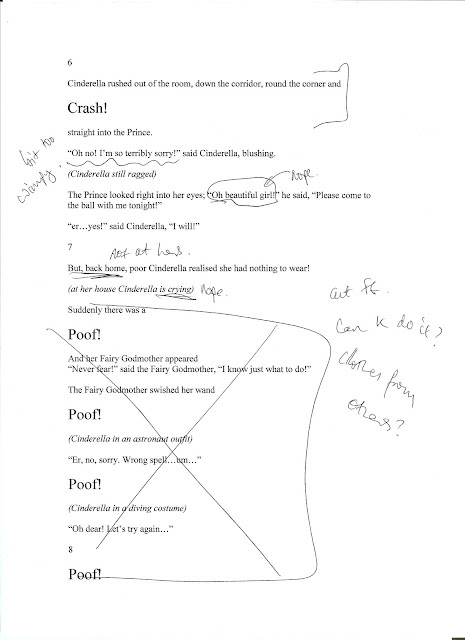 But this was a departure from the original story where the Prince has to look for her after the ball, using the glass slipper. 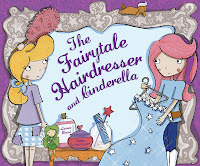 The Fairytale Hairdresser and Cinderella is out his month and I love the final version! 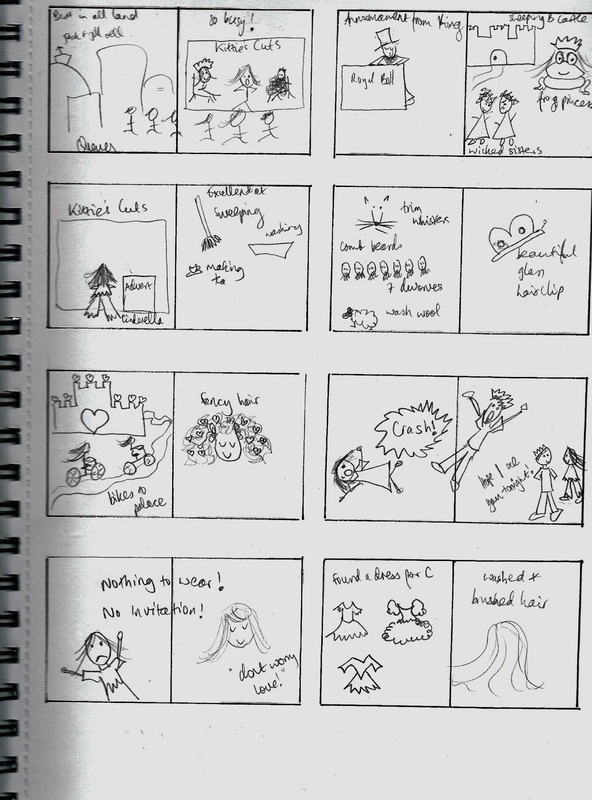 Now I just have to get on with plotting book 3, The Fairytale Hairdresser and Sleeping Beauty. How do you say it in translation? and a Giveaway. Are Picture Books Value For Money?